Pseudofracture are the classical feature of which among the following? 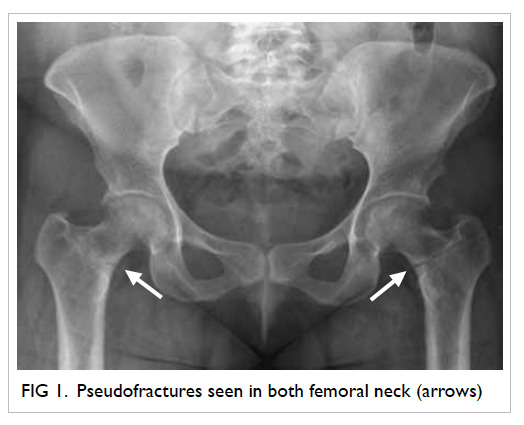 A specific radiologic feature of osteomalacia, whether associated with phosphate wasting or vitamin D deficiency, is pseudofractures, or Looser’s zones. These are radiolucent lines that occur where large arteries are in contact with the underlying skeletal elements; it is thought that the arterial pulsations lead to the radiolucencies. As a result, these pseudofractures are usually a few millimeters wide, are several centimeters long, and are seen particularly in the scapula, the pelvis, and the femoral neck.